As a community development worker, Faith was quite familiar with heartbreak and recovery after all the time she spent on disaster relief missions. 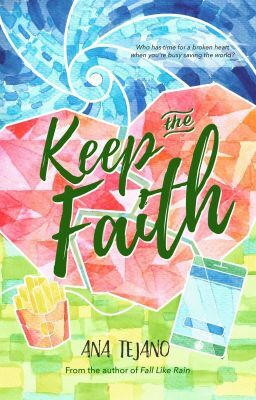 So when her five-year relationship ends right before she left for a mission trip to a typhoon-stricken town in Iloilo, she tries not to make a big deal out of it. How can she be broken up about a breakup when she's with people who literally lost everything? But now that she's back, all Faith wants is for her life to go back to normal and have people stop looking at her with pity. Never mind that she still has a lot of questions about the breakup, or that she feels a tiny ache every time her ex comes up in conversations. She's okay now, and happily distracted by Nico Tamayo, the attractive new guy at work. With new possibilities in the horizon, Faith thinks she is well on her way to moving on. But when her past comes calling back to her, will all the good things in her present be enough to keep her on the path? Or will she finally learn that there was more to heartbreak and recovery than what she knows?